Developed specifically to maximise outreach, the Nifty 150T trailer mount delivers an unrivalled working envelope, especially at low levels where outreach is needed most. The Nifty 150T trailer mount offers an up-and-over clearance of more than 5.6m allowing it to reach easily over larger obstacles such as walls and buildings. The machine has a working height of 14.7mtrs. 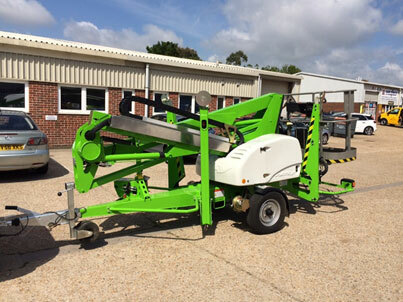 Compact dimensions coupled with hydraulically operated outriggers make manoeuvring and setting up the Nifty 150T trailer mount quick and simple, while its 1.4m wide platform provides the operator plenty of room in which to work. Our machine also has the benefit of traction drive which allows for simple on-site positioning. 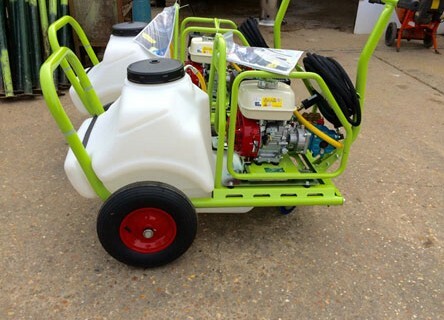 We have added some new Brendon Minibowser Powerwashers to our hire fleet – Similar to the popular petrol washer but incorporating a 125 litre water tank. This gives a remote use time of approx. 12 minutes between fill ups. The unit delivers a maximum pressure of 2000psi / 140bar and a flow rate of 10 litres per minute. Very effective for use with the Brendon Roto-Jet floor cleaning unit. Both available to hire now. Please contact your nearest branch for further information.